One of New York's premier electric Blues guitarists, winner of the Six String Showdown & star of the film The Junkman's Son. "Paints blues riffs as radically as Picasso, he pushes blues to experimental and quirky heights". Southland Blues Magazine. Johnny's recordings have been featured in multiple hit TV shows including on NBC HBO, CBC, FX and SHOWTIME. 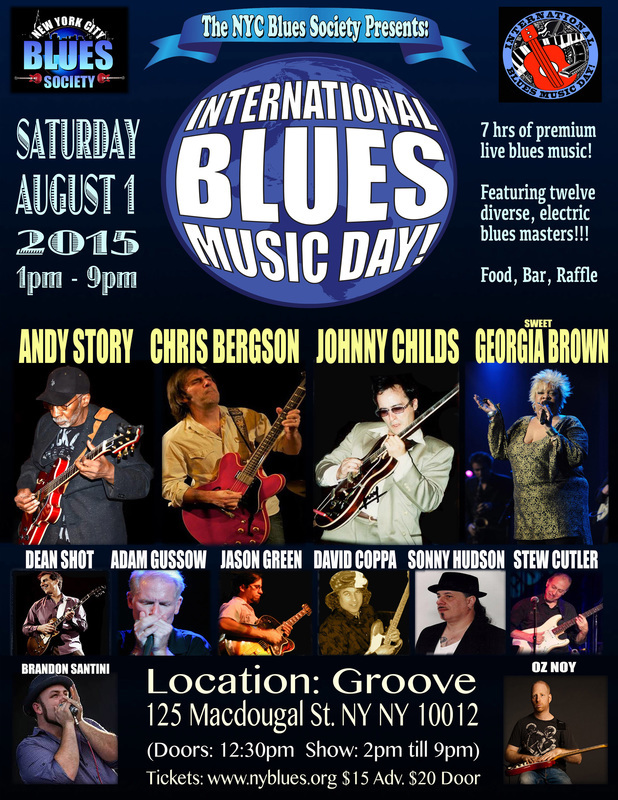 The 7th annual International Blues Music Day concert celebration is coming soon! Our event will coincide with over 150 worldwide IBMD concerts taking place simultaneously on the same day around the world. The IBMD initiative was started right here in NYC by this very organization The NYC Blues Society. 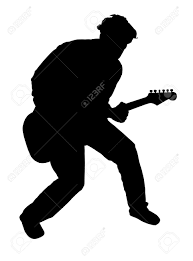 We take great pride in this growing worldwide trend and celebration of the blues. To that end, we've organized another amazing Blues Festival at a fabulous venue and location - in the heart of NYC. 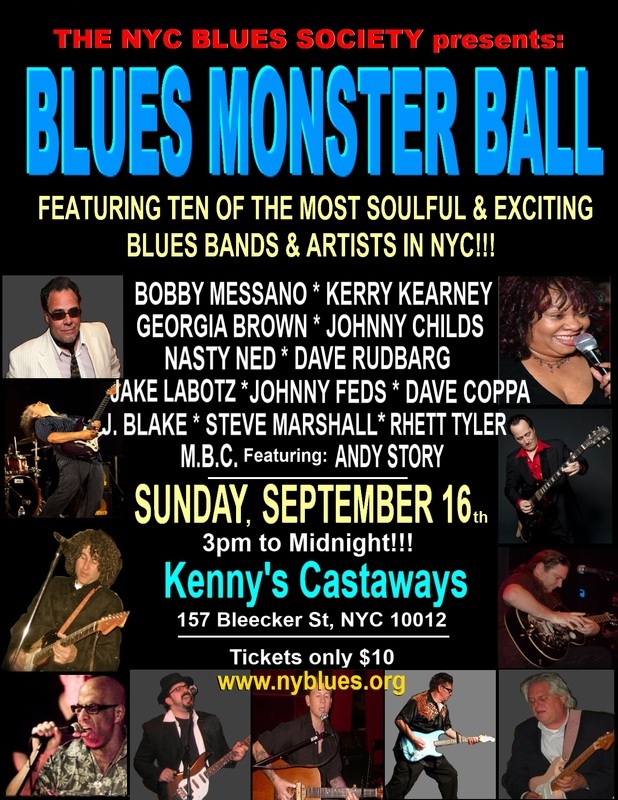 We sincerely hope you can stop by and join us for this amazing, 7 hr hour mega-blues festival in NYC. 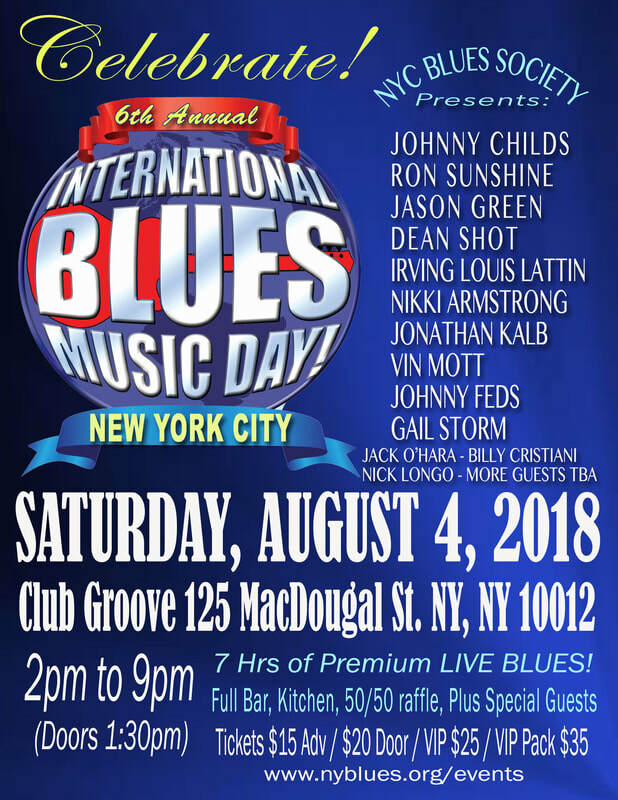 This is a great way to spend International Blues Music Day in a fun and meaningful way and a Saturday afternoon filled with premium live blues music you are sure to enjoy and remember for a long time. See you there!